People in the U.S. are living longer than ever before. Many seniors live active and healthy lives. But there's no getting around one thing: as we age, our bodies and minds change. 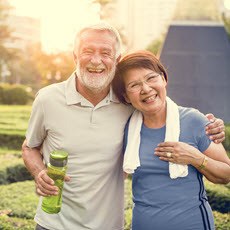 There are things you can do to stay healthy and active as you age. It is important to understand what to expect. Some changes may just be part of normal aging, while others may be a warning sign of a medical problem. It is important to know the difference, and to let your health care provider know if you have any concerns.